Great news for those tearing up from the Tony Awards performance of William Finn and James Lapine's musical Falsettos. Live from Lincoln Center's filmed version of the beloved revival will appear in movie theaters for a limited engagement nationwide starting on July 12. Showtimes and locations can be found here. The Falsettos revival starred Christian Borle, Stephanie J. Block, Andrew Rannells, Brandon Uranowitz, Anthony Rosenthal, Tracie Thoms and Betsy Wolfe. The production was filmed live at the Walter Kerr Theatre in New York City in January 2017. 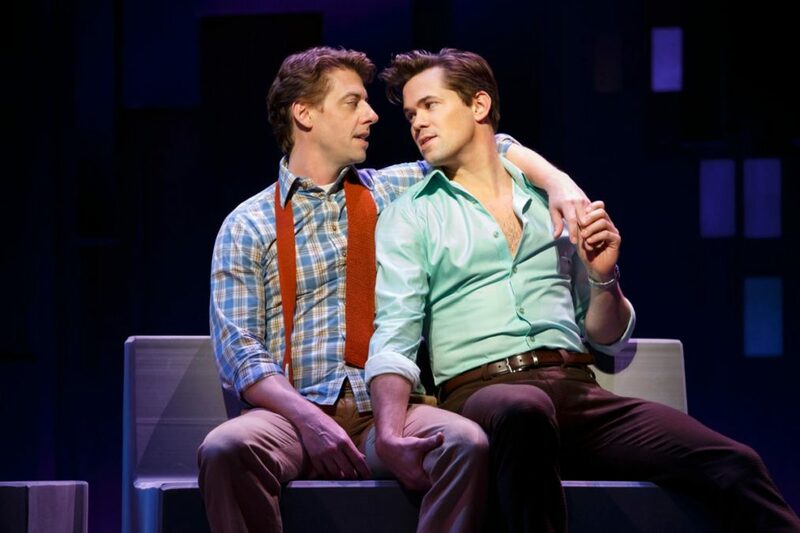 Falsettos is a hilarious and poignant look at a modern family revolving around the life of a gay man named Marvin (Borle), his wife (Block), his lover (Rannells), his soon‑to‑be‑bar‑mitzvahed son (Rosenthal), their psychiatrist (Uranowitz) and the lesbians next door (Thoms and Wolfe). The Broadway revival of Falsettos began previews on September 29, 2016 and opened on October 27. The limited engagement concluded on January 8, 2017.